What Can I Do If My Child Was Injured Or Killed On His Or Her Bike? You can bring a lawsuit on his or her behalf as well as yours for the injuries, expenses, and suffering the incident created. 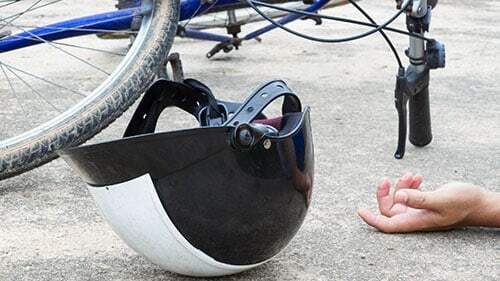 How do I Bring an Action for my Child's Injuries in a Bike Accident? If your child has been killed in a bicycle accident, you can file a wrongful death suit against the driver. If your child was injured while riding their bicycle, you may be able to recover damages. Illinois uses the Tender Years Doctrine, stating children under seven are incapable of negligence, and thus cannot legally contribute to an accident. Appelhans v. McFall, 325 Ill. App. 3d 232, 239 (Ill. App. Ct. 2d Dist. 2001). In Illinois, if a minor child between the ages of 7 and 14 is involved in the accident, there is a rebuttable presumption that the child is not capable of contributory negligence. Savage v. Martin, 256 Ill. App. 3d 272, 281 (Ill. App. Ct. 1st Dist. 1993). it is presumed that that child cannot contribute to the cause of the accident. The jury must take into account the child's age, capacity and intelligence in determining his or her fault. What do I Have to Prove to Obtain Recovery for my Child? If your child was injured in an Illinois bicycle accident, you could sue for negligence. You need to prove the following: the defendant owed a duty not to injure your child; he or she breached that duty; your child was injured and suffered damages because the defendant breached that duty. However, if your child dies from the bicycle accident, you would sue for wrongful death. The elements of a wrongful death lawsuit include: your child died; the death occurred because of the defendant's misconduct (intentional or otherwise); and you suffered damages because of the death. We know that any injury, or worse, death of a child is a traumatic and painful time for your family. Please let us help you determine what claim to bring after you child is involved in bicycle accident. Wondering How You can Help Your Child After a Bicycle Accident? Rosenfeld Injury Lawyers LLC understands the trauma and stress parents feel after their kids are hurt. If your child was hurt on a bicycle, contact us immediately. We can get to work so they don't miss out on the compensation they deserve. Call Rosenfeld Injury Lawyers LLC today and we will get you and your kids on the path to recovery.